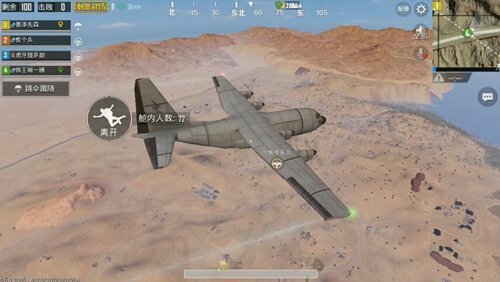 The advent of the new version, “PUBG Mobile: Stimulus Battlefield” players most worried about the number of maps do not understand. Do not know the map do not know what area is rich in resources, may not even carefully read the map carefully, chose a resource point that thinks itself is relatively large, searched out but found that it is not as good as the outside of a city outside the building. Indeed, in desert maps, the richness of materials can no longer be determined by the size of the area in the eyes of the masses of players, but also depends largely on the type of buildings. Here we talk about the distribution of those resource points in the game, and hope to provide some help to players who enter the desert map. Military base: The police station on the southwest edge of the military base is the most fertile area. So if the route is fortunate enough to pass, you may wish to take the lead with your teammates. Basically, high-level supplies will be required. After the collection is completed, it is also possible to take advantage of the geographical advantage of the police station to observe and intercept other targets. Thermal power plant: The fattest area of ​​thermal power plant is The three large warehouses on the north side, because of the openness of their buildings, are not only more efficient in search than the southern housing areas, but also have a very high probability of embarking on advanced weapons and equipment. Choosing a place to stay here can effectively avoid the chaos in the south side of the housing area, ensure safety, and secondly, the materials will be sufficient and the equipment will be formed faster. Picado: The area with the most concentrated fat material, Both the boxing hall and the casino are relatively open in their internal space. Not only are they quick to search, but they also have a high chance of getting out of high-quality goods. People who come out from the inside are basically arrogant. However, in general, there are a large number of people, and it is not recommended to set foot in the case of hard marks. Power station: The main building of the power station consists of two large warehouses and The engine room is composed of resources that are relatively abundant, but the materials in the engine room are obviously more. The player who chooses the power station can try to settle in the computer room. I believe players have also discovered that in desert maps High-rise buildings are more than “Desperate Isles.” Maps are numerous and numerous, and the number of floors is still higher, but internal materials are not necessarily good, like the three-story small ocean next to the red office building and the boxing hall in the center of sin city. The building is typical of “tall” on behalf of the building, readily look like “rich” look, but sometimes its internal resources are not as good as the resources of the small cottage area next to the boxing hall. I believe players have also discovered that the high-rise buildings on the map of the desert are more than those on the map of ' More than that, the number of floors is still higher, but the internal supplies are not necessarily good. The red office buildings in the center of Sin City and the three-story small ocean houses next to the boxing hall are typical “tall” representative buildings. It looks very “very rich,” but sometimes its internal resources are not as rich as the small cottage area next to the boxing gym. Such as roadside hotels and large gas stations, sometimes 98K and eight-fold mirrors Both brush out, but in the region’s advanced materials construction may not see a rifle, and for example, the map’s largest resource point Lion City, because of the extensive architectural walks and received many lone man’s favor. Although there are many buildings, the internal resources are very different. Many players like to land near high-rise buildings in the center of the city. In the desert map, some high-grade buildings are not necessarily rich. When face is dark, they may not dare to come out because of no hand-held weapons. On the other hand, gamers who are on the edge of the city and search for ruined houses and small cottages may be equipped with rifle sniper rifles, just like an “upstart” feeling. If your marksmanship is just right, you can choose areas of resources on the map to compete for supplies. 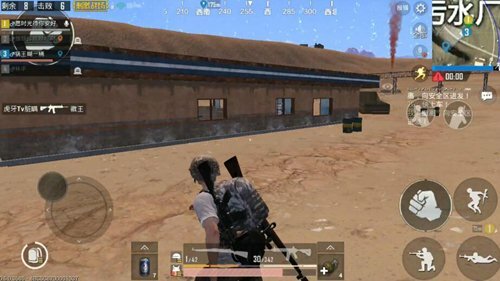 , And the players with poor marksmanship do not worry because they will be too remote because of the choice of points and can not compete with the big enemy, sometimes as long as the patient search to choose to play the same can eat the wild pots and pans.